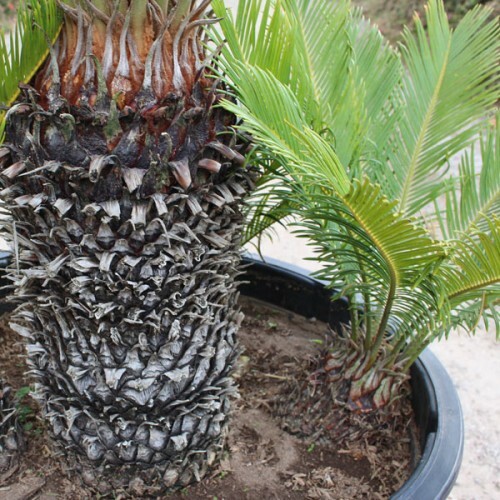 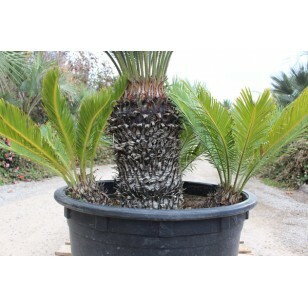 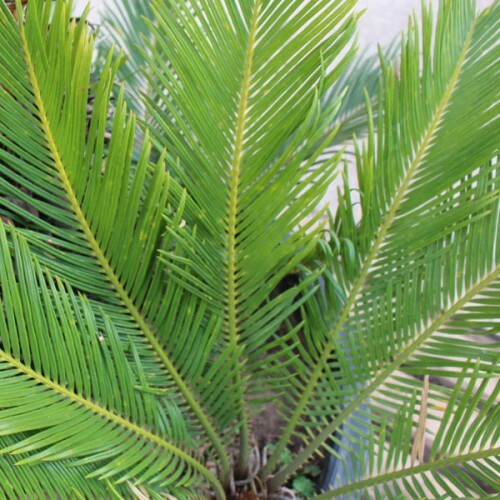 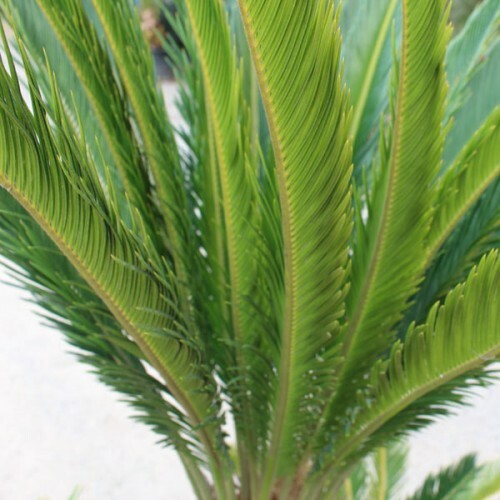 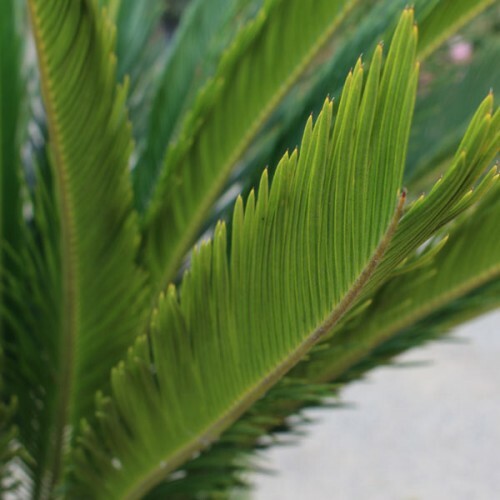 The Sego Palm is native to Japan. 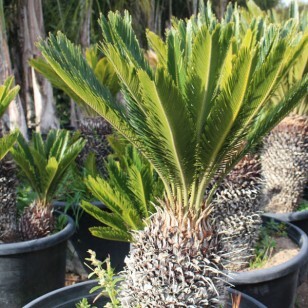 Despite their hardy fernlike appearance they are quite fragile and should be handled carefully. They grow extremely slowly, but eventually develop a thick trunk with narrow shiny fronds at the top. 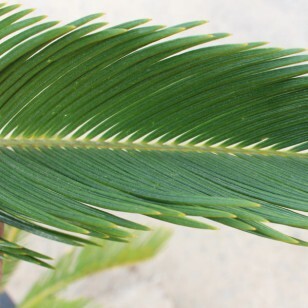 The fronds arch at their tips. 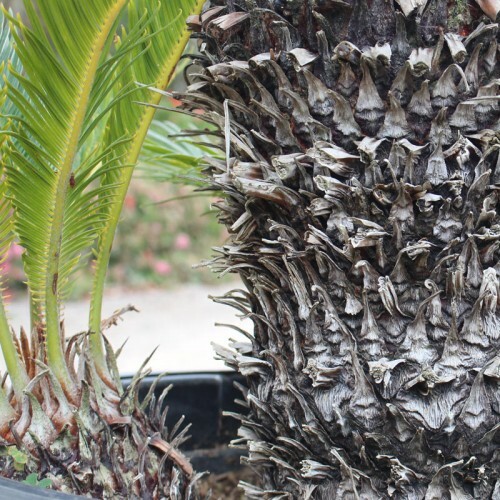 After growing at a slow pace the Sego can get to 4 to 15 feet tall, with leaves that are 2 to 3 feet long and divided into many narrow leathery segments. Keep in mind this plant is poisonous when eaten, so keep away from children or pets. 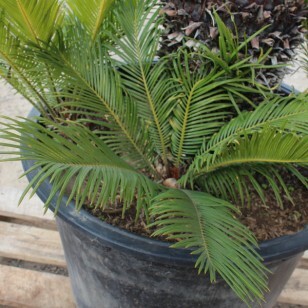 This plant prefers warm and humid conditions with bright sunlight, avoiding freezing drafts. It is normally grown as a houseplant.